This project was completed with Bishop Beaudry Construction acting as Construction Manager-Agency format on behalf of the Owner, Wilton Fire District. 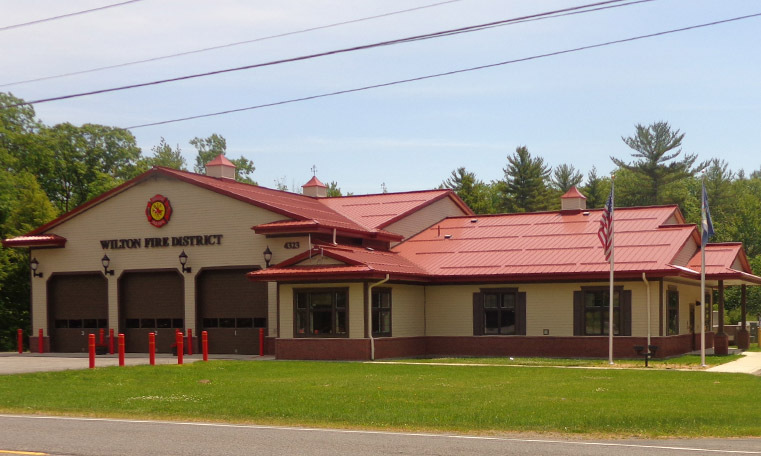 This project was completed with Bishop Beaudry Construction acting as Construction Manager -Agency format on behalf of the Owner, Wilton Fire District. Full Construction Manager services were performed including pre-referendum consultation, pre-construction and full construction administration during construction and closeout. A total of five (5) prime contracts were administered to conform with NYS Wickes Law. Constructed with energy efficiency in mind including wall and ceiling insulation systems, interior and exterior lighting systems and a high-efficiency HVAC system.